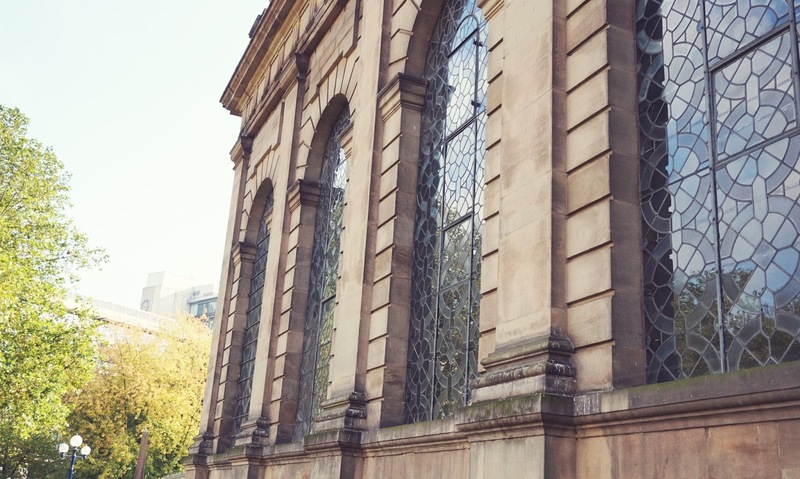 I spent a lovely weekend in Birmingham last week, and came across the beautiful Birmingham Cathedral whilst strolling round the city with Dan. 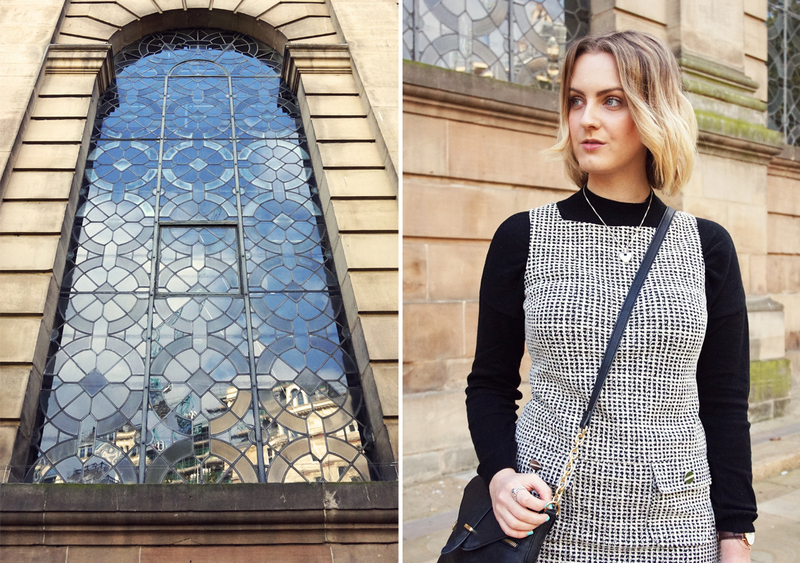 It was the perfect backdrop for taking some photos of one of my favourite Autumn outfits; a sweet little pinafore dress from House Of Fraser, and a classic black polo neck jumper. 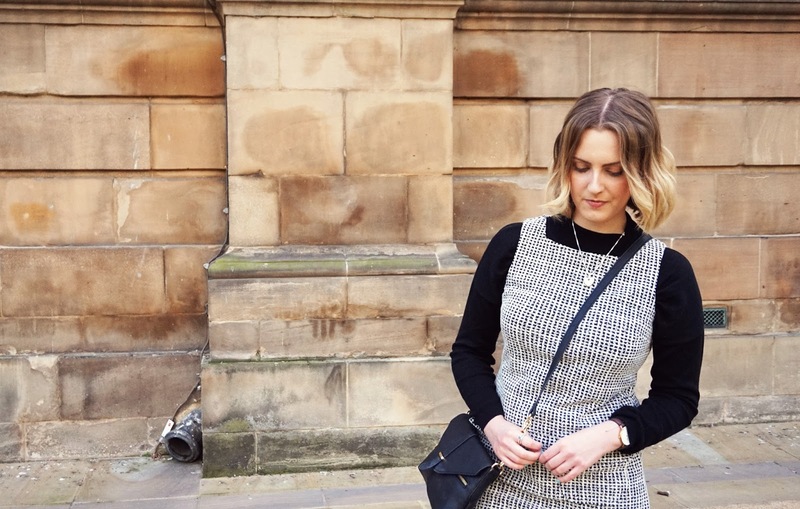 I love the sixties vibe of the pinafore for something a little different to the seventies trend that’s doing the rounds again! 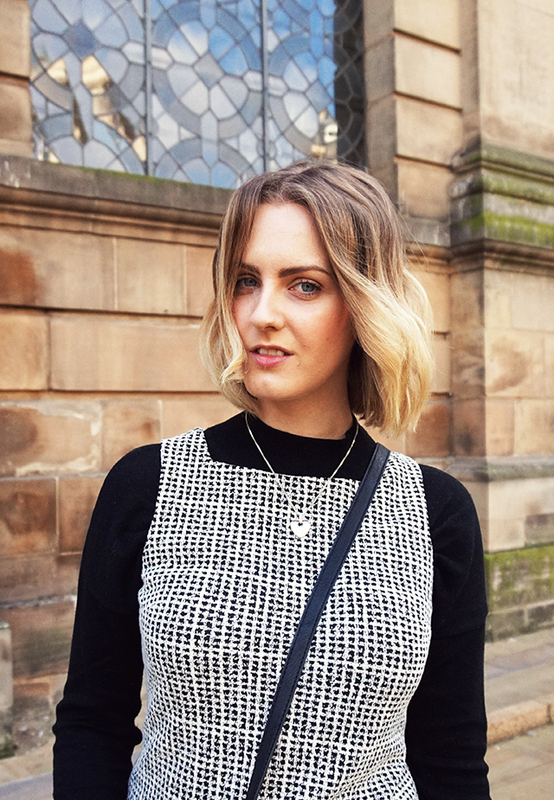 I’ve been wearing this dress with a few different outfit combinations for work (over a blouse, over a grey long sleeved tee etc) but this is the first time I’d paired it with a simple black high neck knit and I love it! 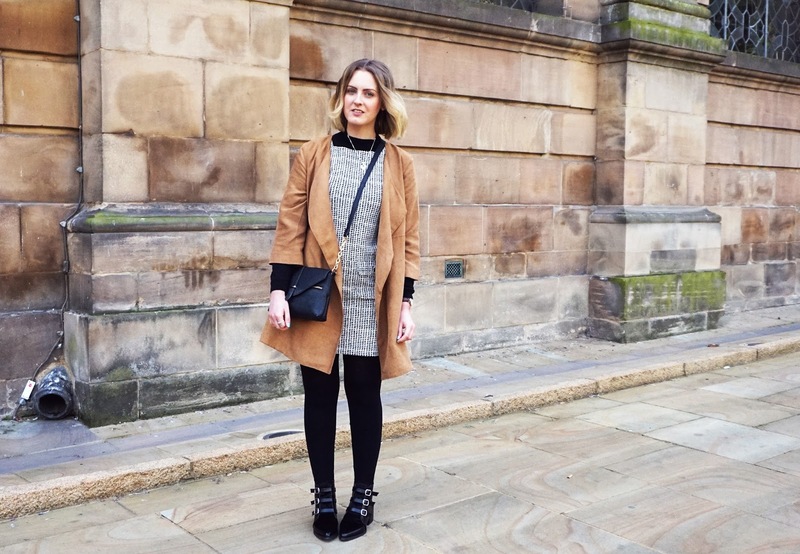 I threw on some tights and my new favourite winter boots, and finished the whole outfit off with a faux suede jacket I picked up for my birthday when I visited York last month. It was the perfect mix of smart and casual for a lovely relaxed afternoon strolling round the shops and seeing the sites. 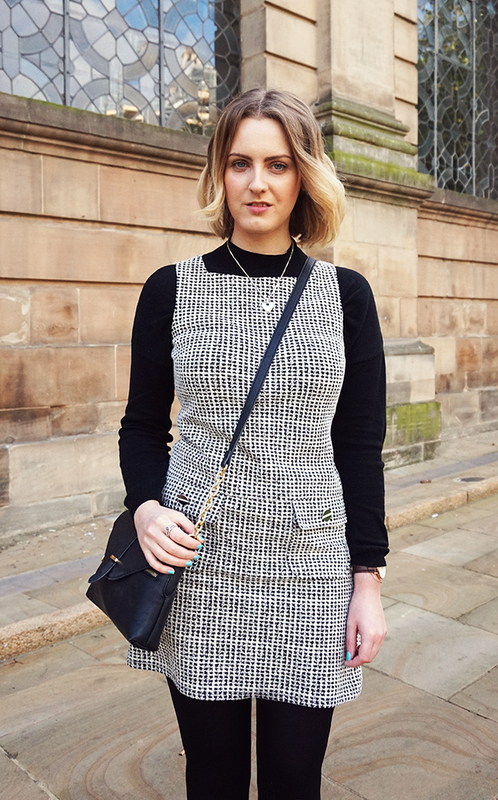 Have you picked up a pinafore for Autumn/Winter? 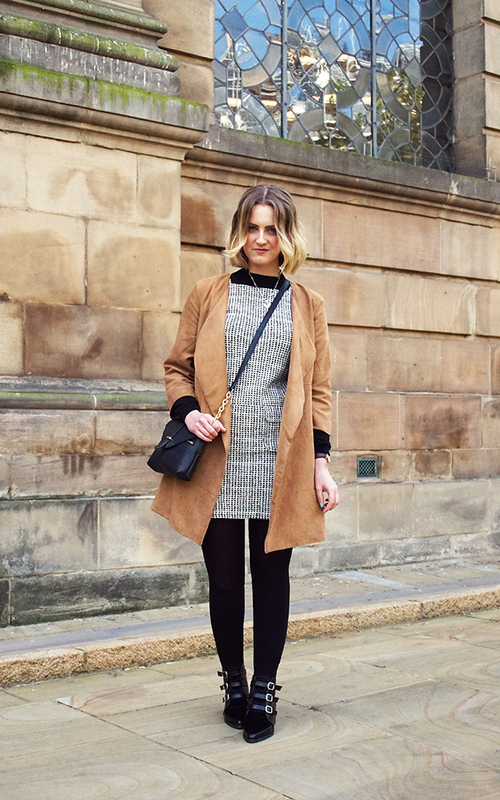 How would you style yours?